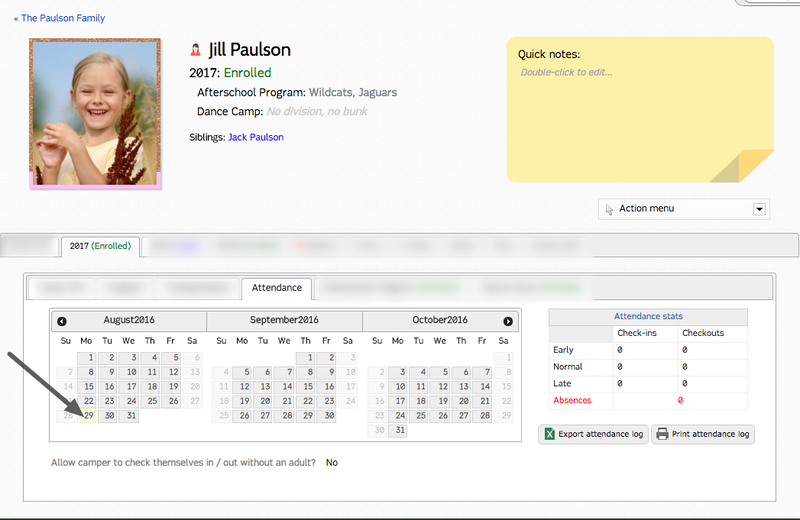 Click on "Yearly info-enrolled" and then attendance. Next click on a date to start attendance loggin per camper profile. Change the arrival time to early or late and give a note as to why. Check a camper in or mark as absent. Change departure time to late or early and give a note as to why. Allow a camper to check themselves out. Export an attendance log spreadsheet. Print a camper's attendance log.